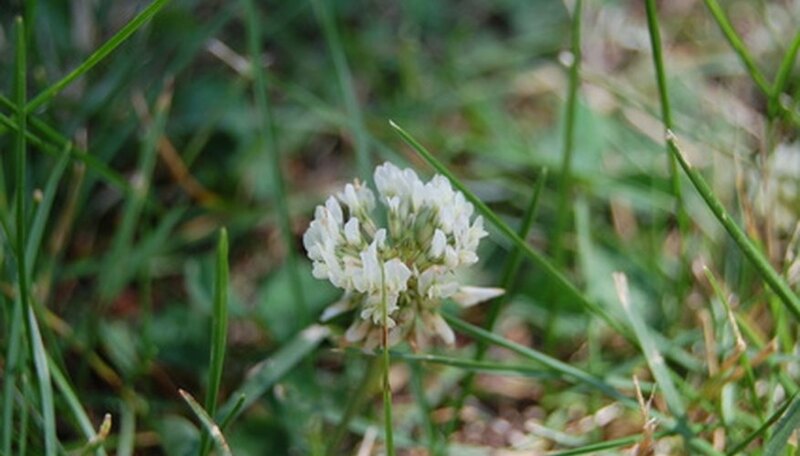 A lot full of weeds can be very intimidating if you desire a green and lush lawn. Rather than trying to work with what you have, it is best to start over when your lot is mostly weeds. By killing off everything and planting high-quality lawn grass, you will achieve a great looking lawn much faster than trying to battle the weeds and nurture the existing grass. Also, in an unkempt lot, chances are the grasses are multiple cultivars, which can lead to a patchy looking lawn. Mix up a mixture of concentrated glyphosate solution with water in a pump-up sprayer. Read the directions on the back of the glyphosate concentrate to use the right amount. Spray the entire lot with the solution, spraying until all the plant leaves are coated. Wait for the weeds and grass to die. This takes up to a week in warm and sunny conditions. Apply the solution one more time to any areas that did not achieve total kill. Mow the dead weeds and grass down to a height of 1 inch and bag the clippings. Even though you have killed most weeds and grass, you still need to remove the dead material. Rent a slit seeder from your local rental store and pour your selected grass seed into the seed hopper. Set the dial at one-half the application rate for your grass. Run the slit seeder over the entire lot. Make back and forth passes to cover all the soil. Run the slit seeder over the entire lot a second time, perpendicular to the first pass. This ensures good grass seed coverage. Apply a starter fertilizer with your broadcast spreader at the indicated rate. Set up your lawn sprinklers and water your lawn to keep the seedbed moist until your grass germinates. Typically this will take 2 to 3 waterings per day for 5 to 15 minutes per cycle. Cut back on watering to once per day once the grass seed germinates. Water for 20 to 30 minutes to encourage the roots to grow deep. Mow your grass once it reaches 3 to 4 inches in height. Mow at a height of 2 1/2 to 3 inches every four to seven days. The mowing frequency will vary depending on growth rate. You do not want to remove more than one-third of the grass blade at each mowing. Move to deep irrigation once you begin mowing. Water your grass once per week and apply 1 inch of water each time. This encourages your grass roots to grow deeply into the soil and will make your grass more drought resistant. Kentucky bluegrass should be planted at 2 to 3 lbs. per 1,000 square feet, while perennial ryegrass should be planted at 6 to 9 lbs. per 1,000 square feet. Perform this renovation in early fall. You will have little competition from weeds during this time and the warm soils will encourage rapid grass seed germination.